Have The Southern Highland's #1 Commercial Cleaners On Your Team! Running a business, you may not have time to manage the cleaning of your premises yourself and that’s where Comfort Cleaning can help. 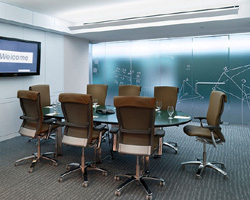 We offer commercial cleaning services in the Southern Highlands & beyond. We’ll keep your office/shop or premises clean and attractive so that you don’t have to worry about your business’s image. Customers look for more than products and services when dealing with your company. They also look at your company’s cleanliness. When they see a tidy space, they’ll assume that you put as much care into the rest of your business, which makes you look professional. With Over 20 Years Experience – We’re Here To Help! We clean mainly for- large Global companies, manufacturing & mining companies, steel, metal workshops, boilermakers, factory outlets, tyre manufacturers, car sale yards, railway co-operations, mineral giants, gym & fitness centres on a daily basis throughout the Highlands & MacArthur region. We clean & SERVICE – offices, amenities, lunchrooms, laboratories, valve rooms, mechanical workshops, heavy duty and greasy areas, Mines sites, sand quarries, security sheds & offices, site sheds, dental surgeries, light/medium/heavy industries & Corporate offices. 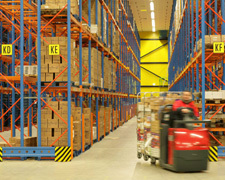 We can sell in bulk and supply businesses with all of their cleaning essentials and equipment. We only supply quality products that have Material Safety Data Sheets included (msds) which are an essential component of occupational health and safety. For specialised customers & those in need of discretion, we also offer Property Management. This includes but is not limited to: making of beds, grocery shopping, laundry & dry cleaning, organising of accommodation / real estate, mail & parcel collection, lawn mowing etc. Servicing The Southern Highlands & Macarthur Areas. 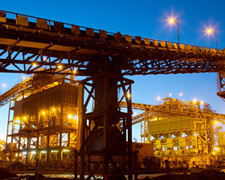 Our OH&S & Safety Requirements Are All To Mine Site Standard. 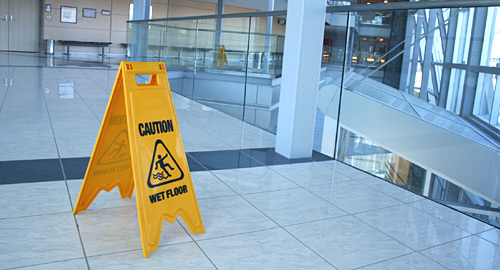 At Comfort Cleaning, we provide consistent, reliable and quality commercial & industrial cleaning services. By investing total support in our highly trained cleaning staff with our exclusive, friendly management style, our investment is returned by loyalty, enthusiasm and the motivation to produce outstanding cleaning standards for you, every time. Our experienced, dedicated and professional team will design, build and manage and maintain a quality cleaning service tailored to your own business requirements. Regardless of the size of your premises you will receive our 100% commitment to achieving our objective, a first class cleaning service and complete satisfaction from you. Since engaging Comfort Cleaning to clean our Moss Vale depot the positive impact on our crews morale has been noticed by all, Comfort Cleaning have performed not only professionally in the course of the work at PN but have also been a pleasure to deal with through in all areas of their involvement with our business. 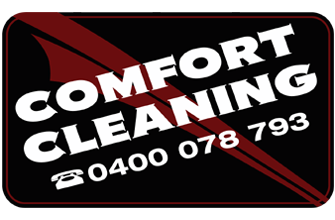 Comfort cleaning have been looking after our office and home cleaning for the past couple of years. The service they offer is always reliable. We appreciate their attention to detail and their willingness to please. Our business incorporates construction work, so the place can be a mess with what the work-boots bring into the building. The place always looks and smells amazing when we arrive after Comfort Cleaning have done their thing. They have always been a pleasure to contact in their friendly and receptive manner. Comfort Cleaning have been our cleaning contractors across various sites for several years. Their attention to detail, flexibility, customer service and personal approach make them very easy to deal with. Their rates and level of service are second to none and as such have been able to secure more and more work with us. No Comfort...No Cleaning! Know Comfort...Know Cleaning! We are the Southern Highland’s Number 1 Commercial Cleaning service. Obligation free quotes provided before we start work. Professionalism & reliability assured from start to finish. Trained staff guarantee the job is done right the first time. Over 20 years of experience in commercial cleaning. Wide range of services and skills to cover all your cleaning needs. Friendly team of passionate professionals, eager to help you. We work 24 hours a day, 7 days a week. Even When you don’t. When you need dependability, choose Comfort Cleaning. Comfort Cleaning recognises the quality of the services that we are able to deliver and that they in turn reflect the quality of our staff. All of our employees are trained thoroughly to our strict quality procedures and cleaning policies. Comfort Cleaning completes regular audits of our staff to monitor & maintain standards to ensure that our customers always receive the very best services. Comfort Cleaning maintains the highest level of quality cleaning services and reliability at the lowest practicable cost to the client. Our aim is to always meet and surpass our contract requirements, as well as the needs and expectations of our customers. Quality management integrated with safety and environmental management is the basis on which our business operations is based. Comfort Cleaning recognises it’s responsibility to provide a safe work environment for both our clients and our employees. Cleaning for health and safety has required many changes in traditional cleaning methods and we have adapted with the times. Our objective is to be a green as possible, to produce an asthma friendly working environment for our staff & clients and also to remove contaminants and industrial pollutants, rather than redistribute them. 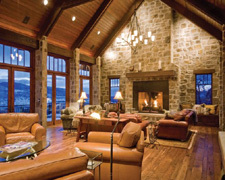 Comfort Cleaning is committed to ensure the safety of all employees, as well as clients and visitors in the workplace. Every employee, regardless of position, has a responsibility to be uncompromising with regard to health and safety and this we will not compromise. Risk management is incorporated as an integral part of our cleaning operations, ensuring all hazards are identified, assessed, controlled, and modified as necessary to maintain safe working activities. No matter how large or small your business we retain complete control at all times. Where possible, Comfort Cleaning only work with cleaning products that meet environmental friendly standards in the composition of their cleaning products. We aim for continual improvement of our environmental performance through systematic management practice and continued research. The health and safety and work acts are continually changing; therefore to meet our customers needs we train all staff to the latest standards to ensure that our clients are always guaranteed the very best cleaning service possible. We also continually make sure our equipment, cleaning methods and materials comply with all current statuary laws. We Set The Standards In Commercial Cleaning Companies - Call Us Now! Comfort Cleaning - Commercial Cleaning Services Committed to Your Needs! Comfort Cleaning offers reliable commercial and industrial cleaning services that always leave your premises 100% clean, fresh, and hygienic. Established in 2006, Comfort Cleaning has gained an excellent reputation as the Southern Highland’s most efficient and reliable cleaning service provider. Comfort Cleaning is a family owned business run by husband & wife team Adam & Debra Calderbank. Positive word of mouth is the reason we have grown to become the most sought after commercial cleaning company in the Southern Highlands and beyond.